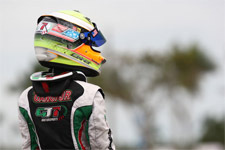 Anthony Gangi Jr., a member of the GT7 Motorsports kart racing team, sits just on the outside looking in when it comes to the Florida Winter Tour Vortex TaG Cadet class championship. The talented ten-year-old racer sits in fourth place in the standings and has his sights set on a top three finish in the final championship tally. 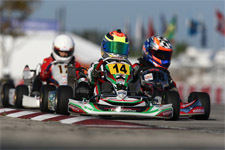 As the Florida Winter Tour faithful descend on the impeccable Ocala Gran Prix facility, Gangi Jr. is looking to make some noise in the final double-header weekend of the 2012 Mini Rok campaign. Anthony Jr. recently had the opportunity to test his Tony Kart package in race trim at the Ocala track as he made final preparations to close out the winter tour. Running over several days, the team was able to work on several aspects of their program. "I like that we got in a couple of really good days of testing following Homestead. The Homestead weekend was not bad, but not great either. The testing really has us ready for this weekend," comments Anthony Gangi Sr., GT7 Motorsports Team Principal. "We are pulling out all the stops to get inside the top three when the dust settles in the championship points." 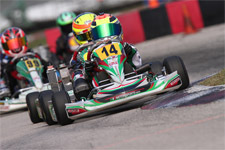 Ocala Gran Prix has been the site of some of Gangi Jr.'s best finishes over the past couple of seasons and he looks forward to making the most of the final Mini Rok weekend. Working with driver coach Gary Willis and tuner Chris Perez, Anthony Jr. will look to score maximum points on the weekend to give himself a shot at the top three. 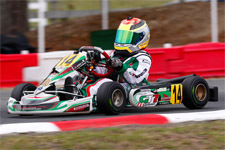 The GT7 Motorsports team made the switch to Tony Kart for the 2012 season and have been making the most of the cadet chassis. 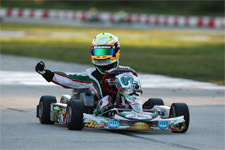 "I just really want to get back in the kart this weekend. Testing went amazing and Gary really helped me with the track. He knows Ocala well," comments Gangi Jr. "Ocala is one of my favorite tracks and we will get to race it two weekends in a row. 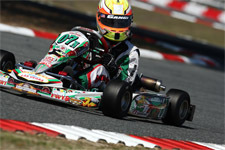 The Mini Rok has been good and I hope to bounce back in the Mini Max." Anthony Jr. will return to Florida Winter Tour action in this weekend as the popular winter racing series heads to central Florida to take on the Ocala Gran Prix facility. 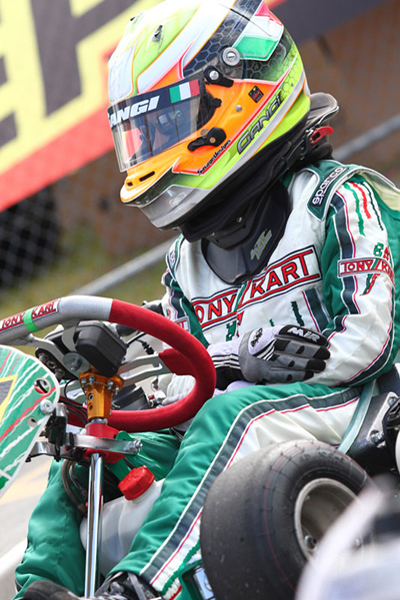 The GT7 Motorsports team will hit the track with the Formula Kart weekend up first as Anthony Jr. and teammate Dylan Tavella continue their run in the Vortex TaG Cadet class.